Improving communication is a positive, productive activity for all couples, whether you have been together for months or decades. 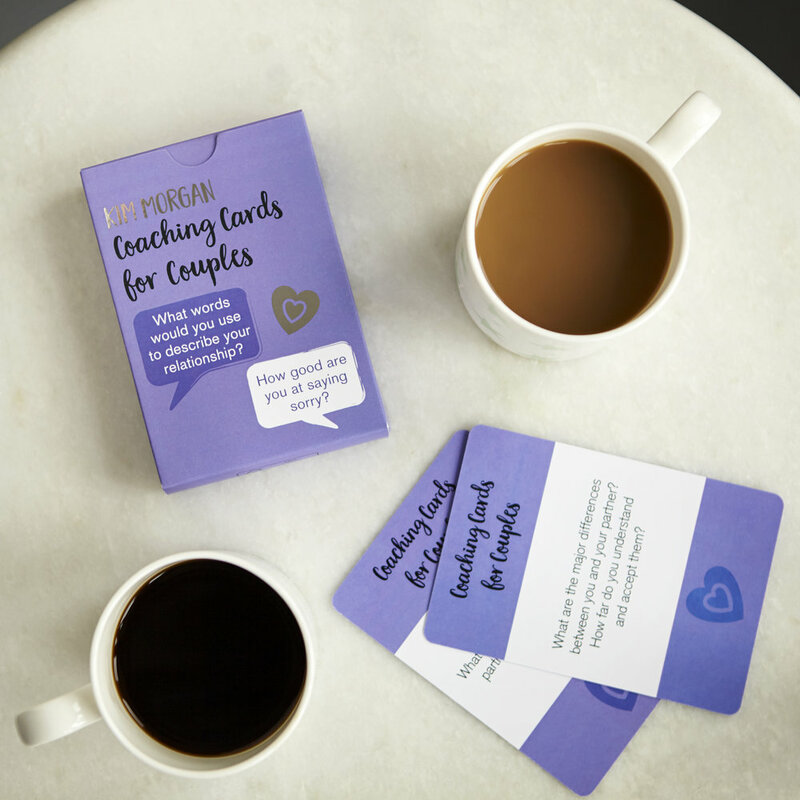 These coaching cards help you to understand yourself and your partner better. The questions encourage appreciation of one another and focus on what is already working well in your relationship. Using these cards is a fun, instant way to strengthen your bond, address small issues and discover what makes your partner tick. Each box of cards contains 50 question cards and 2 information cards. Designed and printed in Great Britain. Powered by Squarespace. All content is the sole ownership of Barefoot Coaching Ltd. Registered Office: The Training Centre, Chapel Street, Melbourne, Derbyshire, DE73 8EH. Barefoot Coaching Ltd is registered in England and Wales. Company number 06932330. VAT number 851567803.